Extremely delighted to be able to share an exclusive extract today of the rather fabulous - 5 stars from me when I recently read it!! 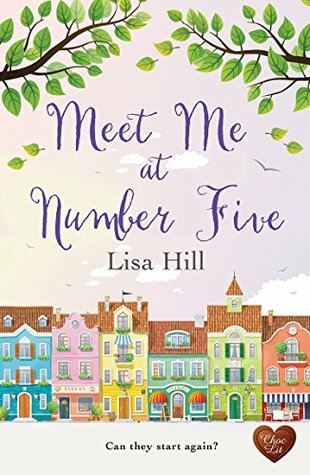 - Meet Me at Number Five by Lisa Hill! What do you mean you haven't downloaded it yet?! What are you playing at??!! Well, now is the chance to try before you buy so enjoy the following and I'll include all the details at the end so you can enjoy the rest of the story!! ‘Nana, I thought we agreed not when the children are around,’ Hennie barked. ‘Except yours are full of noxious gases. Anyway, why have you started smoking again?’ Hennie asked. Grace watched Hennie’s eyes narrow as she surveyed their grandmother. ‘She is making the most terrible mess!’ Natalia exclaimed, noisily clattering dinner plates onto the kitchen surface. ‘It’s to distract myself,’ Grace said, quietly, returning to the temperature on her thermometer. The bright red liquid in the jam pan was starting to thicken now, which meant it was nearly ready to ladle out into the jars she’d laid out on the side. She hadn’t done much today since that awful moment at Number Five when she had wanted the ground to swallow her up. If she couldn’t get a job as a waitress, what hope was there for her? Instead of trawling the internet for possible vacancies, she’d spent most of it lying on the sofa, watching Friends repeats. Anything to make her laugh and forget how depressing her own life had become. The episode where Monica had needed a plan to get over Richard had been on and it had given Grace the idea. She loved baking. She was never more at home than in the warmth of her kitchen at Farriers. Thinking of it made her feel sick again. Which was why she had decided to busy herself with the same plan as Monica’s. A jam plan to get over her man. ‘And what exactly are you planning to do with all that jam?’ Clara had ventured across the kitchen to watch Grace ladling the jam into jars. ‘It is a messy distraction,’ Natalia muttered, plating up the children’s fish fingers, chips and peas. The doorbell rang before Clara could interrogate Grace any further. ‘Hennie, be a darling and go and get that,’ Clara asked. Hennie puffed as she stood up and thumped out of the room. ‘Children, supper is ready!’ Natalia called, transferring plates to the table. Clara started holding out the jars for Grace, as if she wanted to help. Grace had felt the last couple of days that Clara needed to help but didn’t know how. ‘Grace, darling,’ Clara’s voice was rather hushed. Grace could hardly hear her over the whirr of the extractor hood. ‘Ouch,’ she said, spilling some piping hot jam on her hand. Grace navigated the island and walked towards the sink. Her hand was stinging. A strong waft of floral scent floated across the kitchen. In the archway stood a man with his head replaced by a large bouquet of stargazer lilies. ‘Hi,’ said the flower head. The flowers dropped to reveal the proprietor of Number Five. If it hadn’t been for the fact she needed to stand with her hand in cold running water Grace would have made a quick dash out through the conservatory. ‘Really?’ Clara’s head looked like she was watching a tennis match as it bobbed backwards and forwards. Grace continued to run her throbbing hand under the tap feeling confused. She studied Sam’s face. He had sincere, dark brown eyes. Quite different to the face he’d pulled earlier, which had haunted her all day. Which was fine apart from the numbing sensation in her fingertips from the icy cold water. ‘How did you know where I lived?’ Grace asked as Sam repositioned her hand under the water. Eek. Talk about embarrassing. Hopefully he didn’t hear her sobs of rejection as she’d fled. Grace wondered what else Clara had said. The last thing she wanted was him now offering her the job out of pity. ‘Nana, it’s Monday evening,’ Hennie snapped. Grace watched Sam’s tall, lean frame bend over. His head was millimetres away from the jars. He picked one up and held it up to the light. Standing upright again, Grace realised just how tall he was: at least 6ft 3 inches. He made her feel like a Borrower. Grace could hear Natalia muttering under her breath as she paced around near where the children were eating in the conservatory, no doubt annoyed at all the bodies in her kitchen while she was trying to prepare dinner. Normally Grace would have felt awkward but she was already overwhelmed with awkwardness from Sam’s arrival, plus she was just as intrigued as Clara by his visit. ‘Ah, well …’ Sam said, still analysing the jam. ‘I’m not asking you to contribute, am I?’ Clara said, indignantly. ‘Really?’ Sam swung around to look at Grace. ‘You don’t have to look so surprised!’ Grace was conscious that the rest of the kitchen had gone quiet. No chomping, no chatter. All eyes were fixed on the foodie with the restaurant who was scrutinising Grace’s domestic skills. Could Grace see a faint blush behind the stubble on that angular jaw? Grace looked down at her hand. Water still trickled over her fingers and down into the porcelain cracked Belfast sink. ‘But that’s before I knew about your exceptional jam making skills,’ Sam cut in. ‘Nana, stop interfering,’ said Grace, removing her hand from the freezing cold tap and dabbing it with a tea towel. Grace Cavendish knows a thing or two about horses – but what she doesn’t know is that her husband, top horse racing trainer Charlie Carrisbrook, is having a literal ‘roll in the hay’ right under her nose. When the painful truth is revealed Grace has no choice but to move in with her highly-strung grandmother Clara and cousin Hennie; a single mum who has renounced men (at least that’s what she says!) Determined to start again, Grace takes a job at the local cafe, Number Five. And whilst serving up coffee and cake is a far cry from the stables, she enjoys it – especially as she gets to work alongside the rather scrumptious Sam Whittaker. But the past is racing to catch up with Grace. Can her life still be a romp to victory or will a devastating secret stop her dead in her tracks? Lisa grew up in the village of Bussage, near Stroud, in the Cotswolds until she returned to Cheltenham as a teenager. She is married to her very own hero, Matt, and has three sons, Hamish, Archie and Laurence. Her first encounter of a romance author was chats over the garden wall between her father, Godfrey, and Mrs Cooper from the neighbouring village of Bisley. It came as quite a surprise in later life to find that Mrs Cooper was in fact Jilly Cooper! Lisa’s writing inspiration now comes from other Cotswolds authors including Jill Mansell and Katie Fforde. Lisa writes contemporary romance with a light-hearted tone. What interests her most is people, their interactions, emotions and relationships. It’s probably why her career to date has been based in property; she confesses herself that she is ‘naturally curious’. 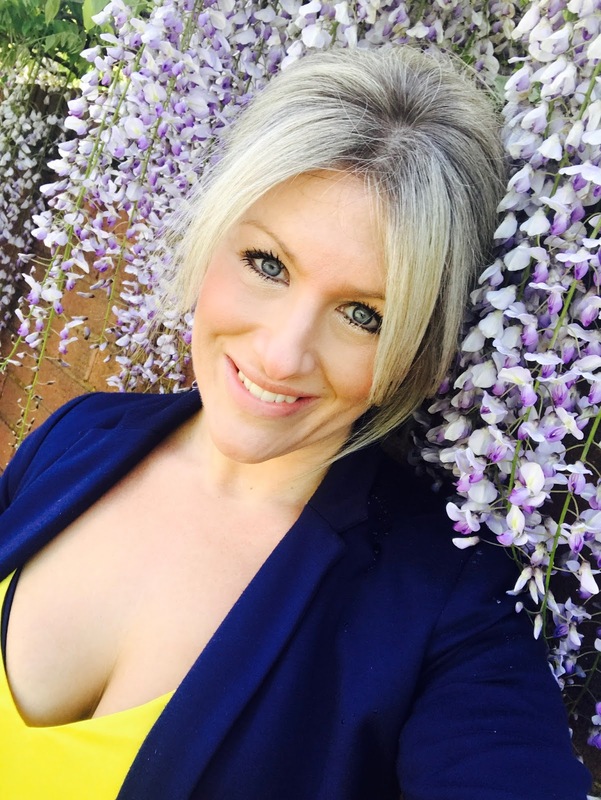 When she’s not busy writing, helping Matt run his electrical empire, or being her sons’ taxi service Lisa enjoys running with her gun dog, Sparky. They are both currently training for the Stroud half-marathon although Sparky’s motivation lies much more in chasing bunny rabbits. 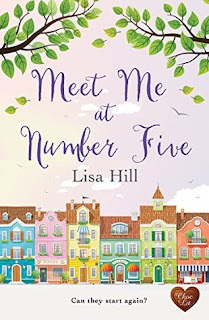 Lisa is a graduate of the Romantic Novelists’ Association New Writers’ Scheme and attributes this supportive and informative scheme to her winning the Choc Lit Search for a Star competition 2016 with her debut novel Meet Me at Number Five. Thank you for stopping by to read this wonderful little extract from a book which I hope you are all on your way now to download!! Treat yourself!! You deserve it!